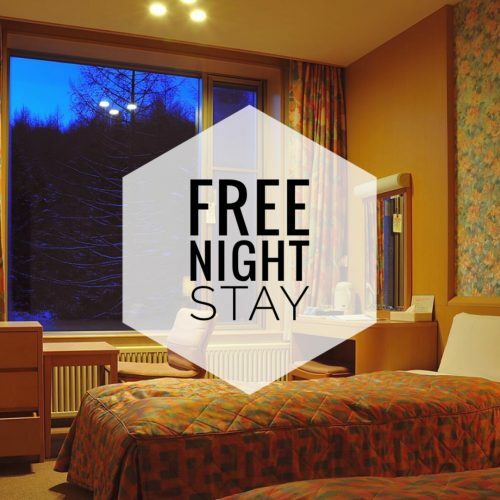 And now FREE rentals for all hotel guests – as standard, all season! 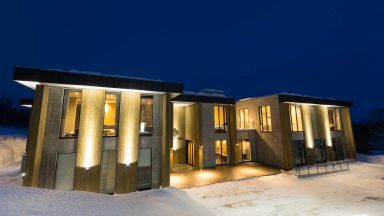 Visiting Niseko? Book Your Accommodation Online! Japan has established itself as one of the world’s top destinations for winter enthusiasts with a wide selection of resort options and some of the deepest, driest powder snow on earth. Combine this with a rich cultural history, delectable cuisine, and stunning sightseeing options, and you’ve got the recipe for an absolutely unforgettable winter escape. 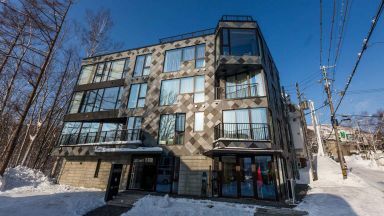 Established by snow enthusiasts for snow enthusiasts, SkiJapan.com has been providing tailor-made Japan winter holiday packages to happy customers for more than 20 years. Fantastic winter specials and offers at the best resorts in Japan! FREE NBS rentals with all-inclusive package. Book by 30 April 2019. 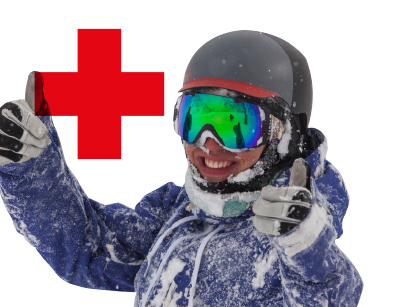 Get up to 2 free nights plus lift pass! Book by 28 June 2019. 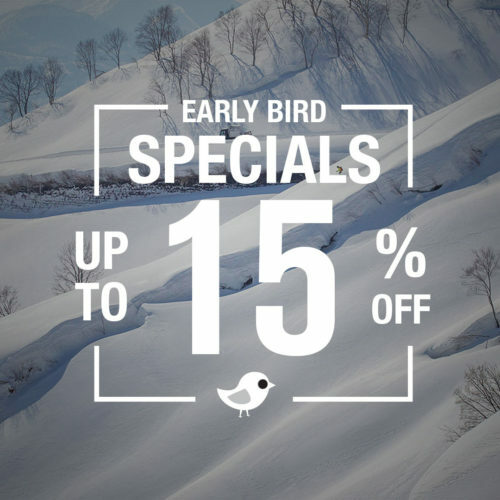 Save 10% on Hakuba Gateway Hotel! Book by 31 May 2019. Save 15% on accommodation. Book by 30 August 2019. Stay 10 Nights Only Pay for 9! 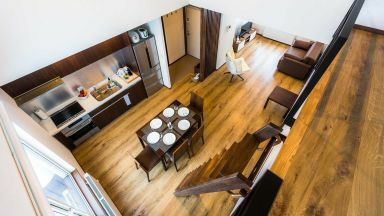 SkiJapan.com has a wide range of accommodation options in more than 12 breathtaking resorts in Japan. Whether you’re looking for a deluxe 5 star suite for the whole family or an affordable pension with friends, we have you covered! Overall, Ski Japan provides excellent service; from booking hotel, needs, ski school, transfers...People in Ski Japan are informative and seriously excellent. A lovely holiday - thanks to the Ski Japan team. From pre-trip reservations to transfer to accommodation. We like the service provided by SJ from booking to arrival, renting, departure... we feel accompanied if any problem and all the staff members are very kind and smiley! 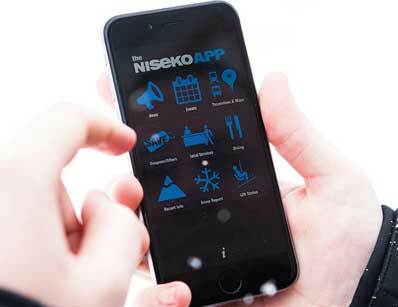 Your must have guide to everything Niseko! Stay insured – don’t leave home without it! 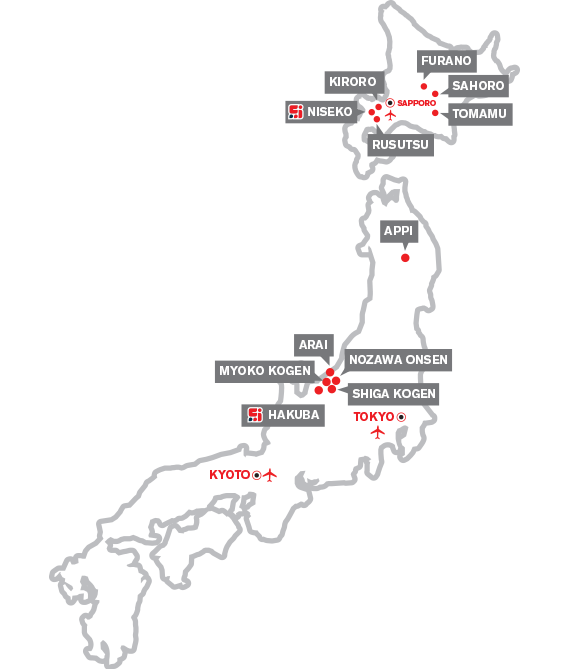 Resorts Japan Wide > Discover all Japan has to offer with us! 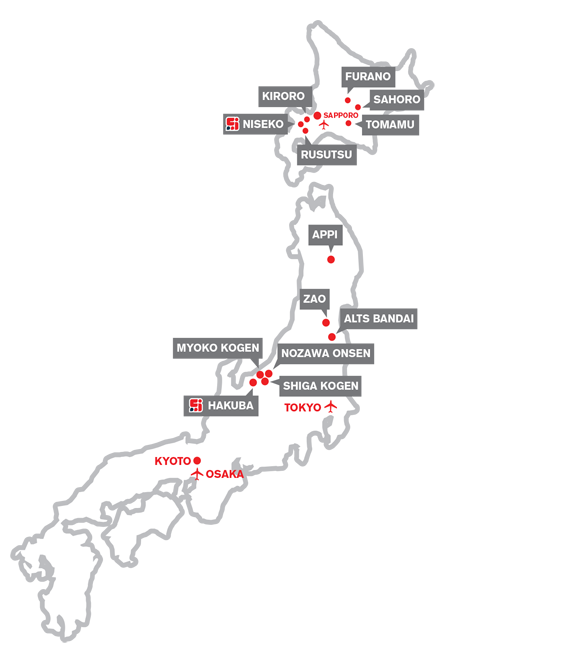 Use our interactive map to discover resorts around Japan you can experience with Ski Japan.